Last week, I reviewed the British detective series River. Heather reviewed an alternate history paranormal where the British efforts in WWI were helped by a squad of Ghost Talkers who retrieved war intelligence from recently killed soldiers. Jackie shared photos from Killarney in Ireland. Georgie Lee shared the over 300 -year-old wine shop in London that she used to inspire a setting in her novel-writing. Becky reviewed Return of the King by J.R.R. Tolkien and described her favorite British children’s shows. Sim took us to London’s Chinatown with a quick peek into the colorful M&Ms store. Jean reviewed Neverwhere by Neil Gaiman in advance of her trip to London. Brexit: (n) combination of “British” and “Exit,” a referendum next Thursday on whether or not the UK should continue to be part of the European Union. UK voters will have the ballot choice to Leave or Remain in the European Union. The Union Jack is the flag of the United Kingdom. It combines the crosses of St. George (for England), St. Patrick (for Ireland), and St. Andrew (for Scotland). The patron saint of Wales, St. David, isn’t represented because at the time of the adoption of the flag, Wales wasn’t a politically separate entity from England. There’s a certain romance with the Leave vote, a Great Britain that stands strong and alone. Leave advocates believe that Britain’s economy will be stronger, in the long-run, with home-grown regulation. There’s also an anti-immigrant element, occasionally ugly, to it. In good economic times, the UK (like the US and all aging, low-birth-rate countries) needs immigrant labor in order to have enough workers to contribute to the economy and care for the elderly. The Brexit vote gained energy because in poor economic times, including the continued aftermath of the 2008 crisis, the migrant workforce gets blamed for any up-tick in unemployment and for stagnant wages. 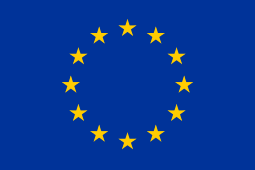 The Flag of Europe features a circle of stars. The number of stars has no particular meaning, it’s the circle of unity that we’re meant to focus on. The Remain vote is mostly about having no clear picture about how, exactly, a Brexit would play out structurally and what impact that would have on the UK and world economy. The world stock markets are jittery this week because of this upcoming vote, so it’s not just the UK that has to deal with the massive uncertainty. At a minimum, trade deals will need to be renegotiated between the UK and all other countries. It’s not at all clear what happens in the interim. At a maximum, a Brexit might be the first pulled stitch in an unraveling of the European Union, multiplying the complexity. Most US officials and companies prefer the status quo but, of course, it’s pretty much always true that officialdom and business prefers the known over the unknown. This reminds me of the referendum about Scottish independence that happened while we were visiting England in September 2014. I did some research in advance of our trip. We watched, from our hotel in Birmingham, the BBC coverage of the vote that turned out not to be quite as close as everyone had predicted — 55% in favor of staying, 45% in favor of independence. Depending on your point of view, practicality won over romance or fear won over boldness. Sadly, as I was researching and writing this post, the news broke that Jo Cox, a 41-year-old Member of Parliament, was shot and stabbed by an attacker. Later, she died. According to the BBC, both the Leave and Remain campaigns suspended their activities while the British population absorbs this horrific story. She was a member of the Labour Party. The leadership of Labour, including Jo Cox, supports the Remain side, but many of its members are leaning toward Leave. As I write this, it’s unclear what the motive of the killer was. Are you paying attention to the Brexit vote? Do you feel that you know enough to have an opinion? I thought the Washington Post video was very fair. I can see both sides of the argument which doesn’t help! I think one thing that is not realised overseas is that Britain has about a quarter of the population of the USA in an area about the size of Oregan, and every person (450m) in the EU has the right to move here. This is very attractive to people from the poorer countries. Most come to work, but it puts enormous strains on infrastructure, housing, schools, and healthcare. The equivalent would be if everyone from South America was allowed to move to the USA and be entitled to the same benefits as USA citizens. This is why immigration is such a big issue. Thank you for the link to the video, very informative. Was just reading Michelle’s comment above and what a great example she stated, if all from S.A. moved here….how would that be paid for, the immigration policies are on the forefront here obviously. Hot topic,. Very sad to read about Jo Cox death yesterday. Having lived in Quebec I know the feelings when there are referendums on separating. The environment was tense and rife with emotion. I am one of those who prefer the status quo. But I also remember the anxiety of my Irish relatives when Ireland was becoming part of the EU. I honestly had no idea what this was all about, my focus being on a strip of islands and an enormous continent an ocean away. Thank you, Joy, for your concise reporting of the overall issue and for the video link. There is much to ponder. I remember when you were overseas during the Scotland vote, I was a bit surprised by the outcome. Perhaps in that and in this, the familiar feels safer to some than the uncertainty of the unknown. I spent the last two weeks in the UK and read a lot of articles on the referendum, and I don’t feel that I know enough to have an opinion. I kind of think it’s going to go like the Scotland vote did and they’ll stay. But I do see both sides.